Our Firm will provide you individual attention from an experienced attorney with a successful courtroom record. When it comes to the law, there are no awards for second place. We consistently win whether it is at the negotiating table or in front of a jury or convincing a judge about our position. Don’t settle for mediocrity. Mr. Ritz is a graduate of one of the top law schools in the country, worked at one of the largest law firms in the world and uses his more than 25 years of experience to benefit employees. Call us at 818.788.1123 for a free consultation or send us an email. Civil litigation cases depend on legal strategies that clarify evidence into winning themes that lead a jury or judge to decide in your favor. At our Firm, we take the time to listen to you and then offer you immediate input. Should you become our client, we will seek evidence on your behalf and convert our findings into a winning legal strategy. 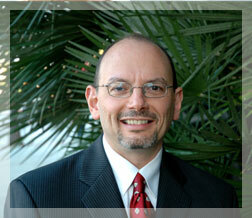 Mr. Ritz has over 25 years of experience successfully litigating cases. T. Joshua Ritz & Associates, Inc. Attorneys-At-Law, is a civil litigation firm founded by a trial attorney who developed his career at a prestigious national firm handling high-profile, complex litigation. As a skilled Los Angeles employment law attorney, Mr. Ritz provides the critical insight and skills necessary for a successful settlement, judgment or jury verdict. Contact our firm by completing the e-mail form on this website or call us at 818.788.1123. We offer a free consultation.